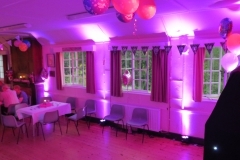 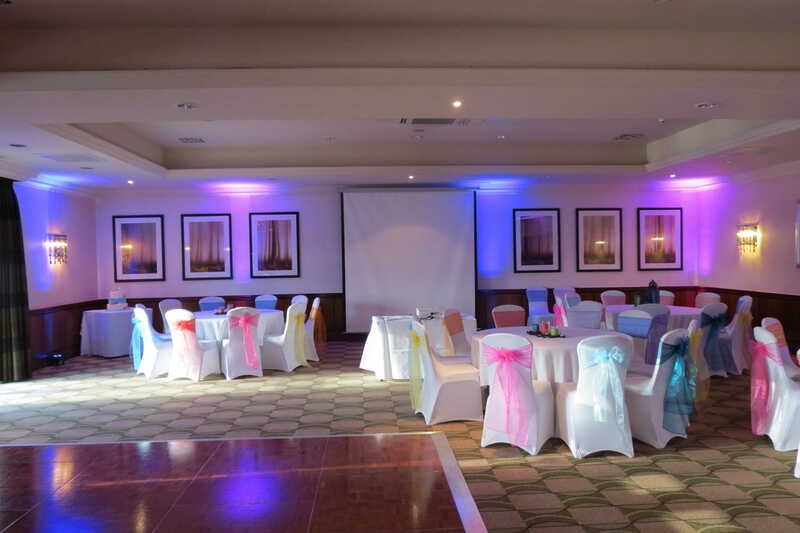 Mood Lighting or Uplighting can transform your venue, in many cases matching the colour scheme for your event. 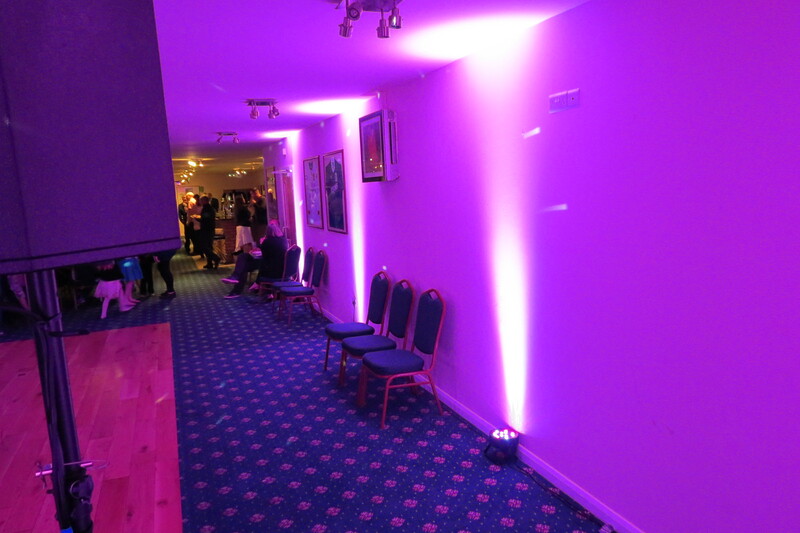 Give your venue walls a splash of colour. 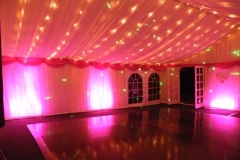 They are great for highlighting features in your chosen venue. 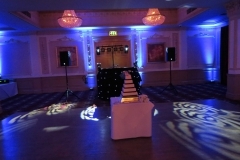 Pillars, fireplaces, statues etc. 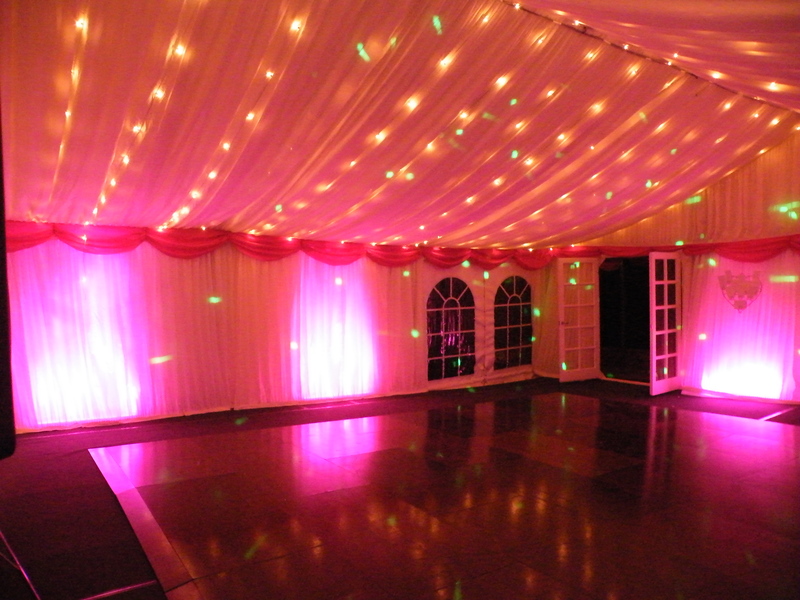 and marquees look great when lit up. With the use of cool running L.E.D Uplighters, these lights can be programmed to compliment your chosen colour-theme. 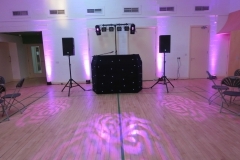 They can run all day without overheating if needed. 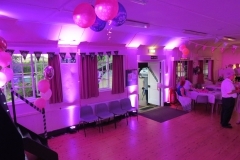 All you really need to decide is how many you need. 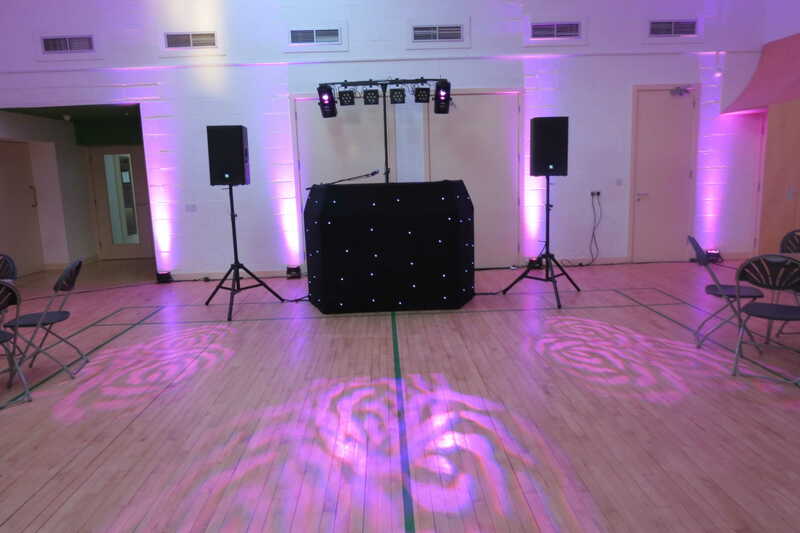 Where you want them and what colour you would like. 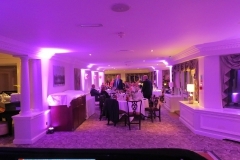 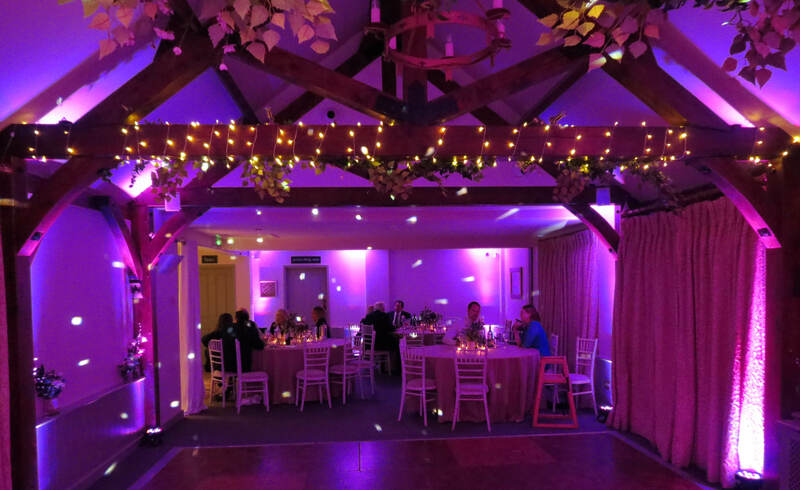 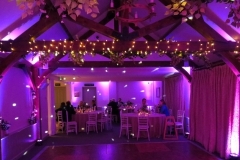 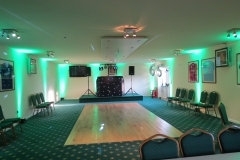 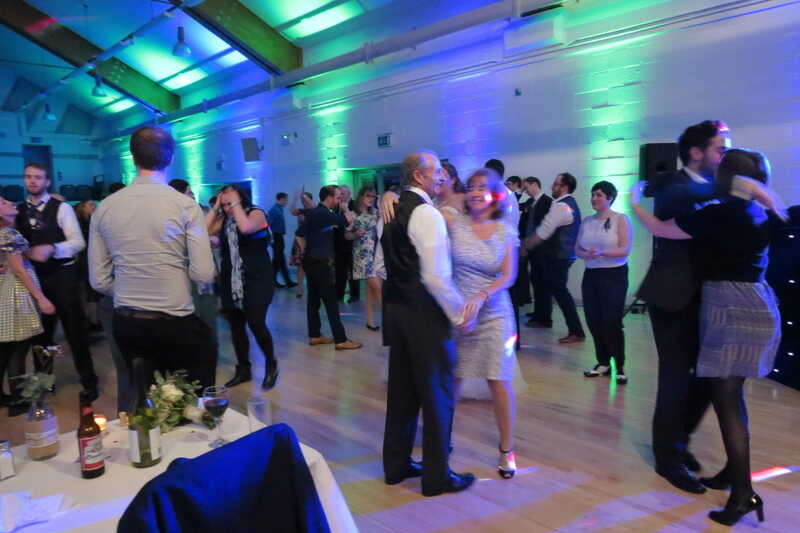 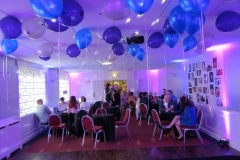 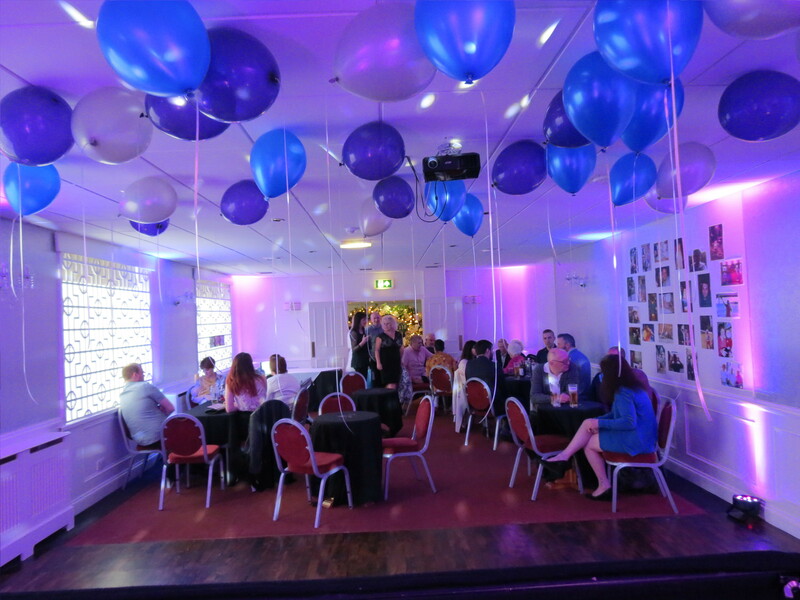 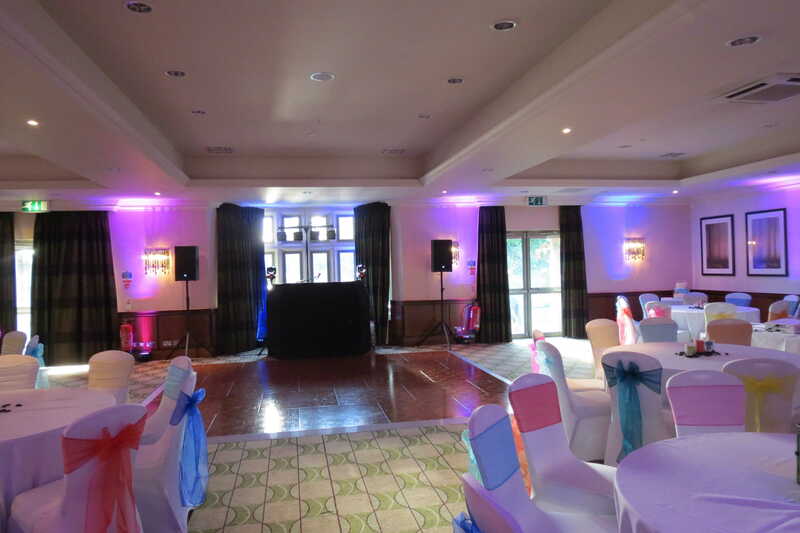 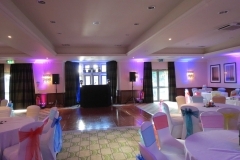 We have provided Mood Lighting in some of the more upmarket venues such as Down Hall, The Thistle St Albans, The Cambridge Belfry and The Compasses at Pattiswick to mention just a few. 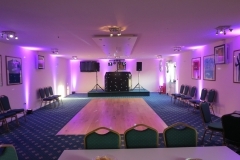 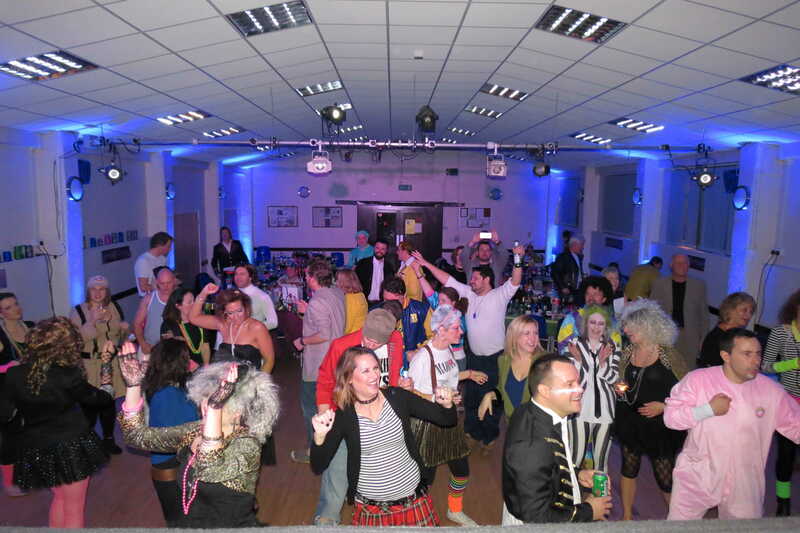 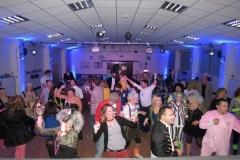 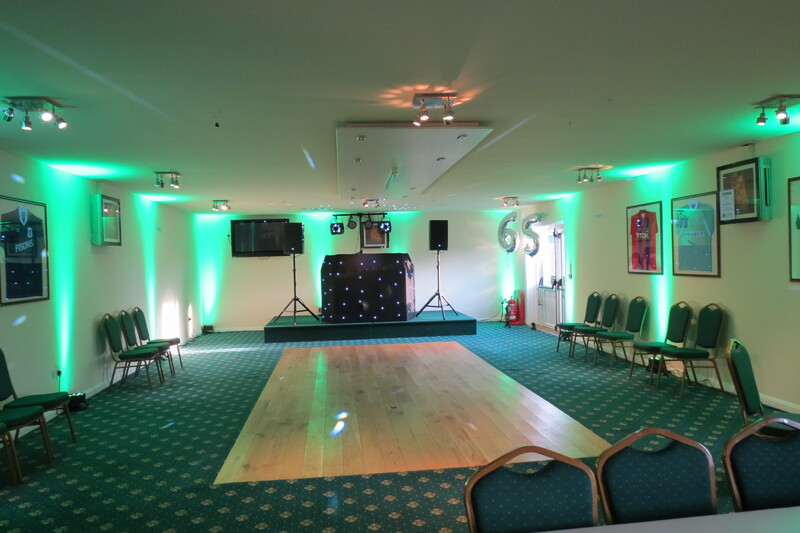 We have also provided the same service for smaller venues. 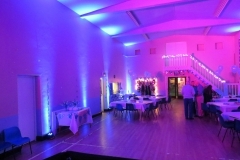 Such as Newport Village Hall, St John’s Church Hall in Stansted, Gamlingay Eco Hub and Clavering Village Hall as can be seen in the Pictures Below. Most Mood lighting requires cables to power them these cables will be taped down out of the way so not to create any trip hazards. Where practical we will use rechargeable battery operated lights. 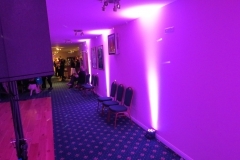 We will position uplighters safely, we will not run cables across door ways, fire exits or corridors.